I've been wearing in my new season shoes for the past couple of weeks. 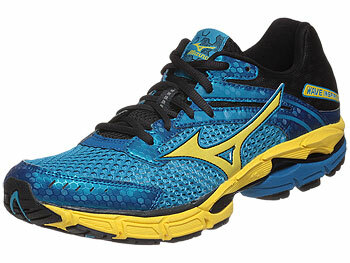 It's an easy decision for me, I just go with the +Mizuno Running Wave Inspire that I've been wearing for the past number of years. The first thing I noticed about these is that the upper (the bit around your foot) is much more comfortable relative to the Inspire 8. Not to say the 8's were uncomfortable, it's just these are significantly more 'plush'. There is far less stitching in the toes box area, there are eyelets which have been moved resulting in a better 'wrap' around the bridge of the foot; you just feel more secure in them and they fit like a slipper. Softer heel counter - replacement of VS-1 with SR Touch foam gives a softer initial impact on the heel. To me this means a much more gentle landing and swift transition to the midfoot position. Upper changes - thinner overlays and mesh results in a lighter, more flexible, more breathable upper. First run is coming up in them as I rotate them in with my Inspire 8 which will be kept going for another few runs.